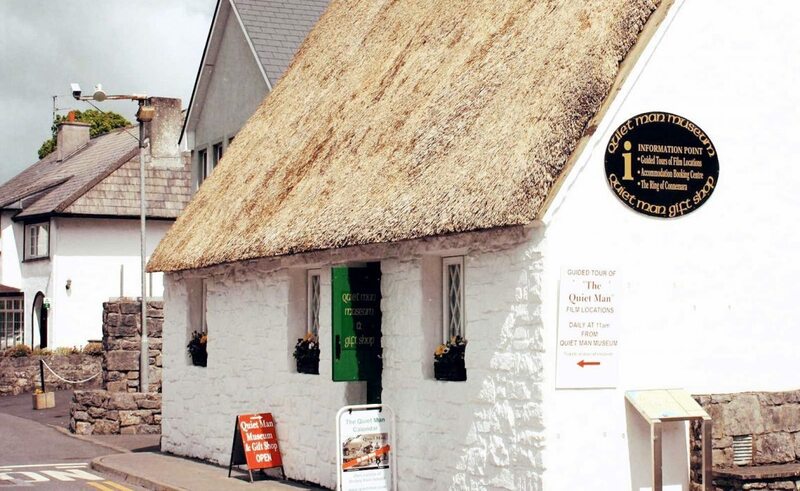 The Quiet Man Museum is a must for any Quiet Man enthusiasts. It is an exact replica of the White O’Morn cottage in the movie. Painstaking effort has ensured that all the furnishings, artifacts and costumes are authentic reproductions. The four poster bed, the tables and chairs which Mary Kate cherished, the thatched roof, emerald green half door and white washed front combine to charm all those who visit it.